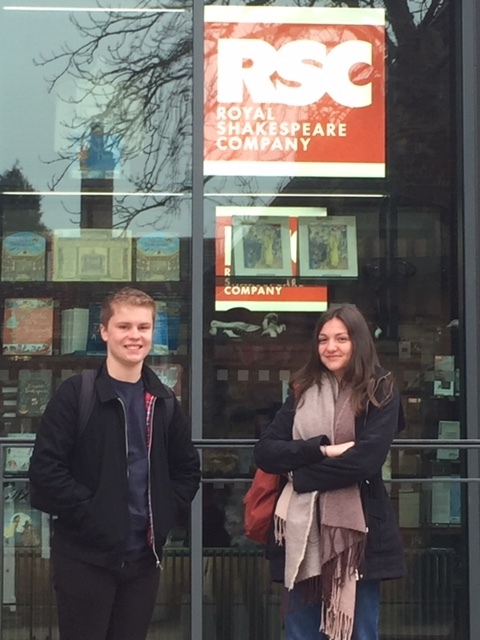 After some intensive training in Stratford, Millie Hollidge and Harry Japes have been asked to join a group of 30 students from all over the country to create the first RSC Youth Advisory Board. This prestigious group of young people will work with some of the senior team at The RSC to represent the thoughts, ideas and wishes of young people all over the country, in order to ensure the successful future of the company. Throughout the weekend our students had the opportunity to exchange ideas with Erica Whyman, Deputy Artistic Director, Catherine Mallyon, Executive Director, Sir William Atkinson, Chair of the Board of Trustees and Jacquie O’ Hanlon, Director of Education.